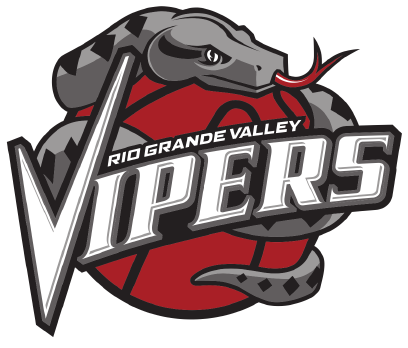 The RGV Vipers will be fighting for a wild-card spot during the season’s final stretch after losing 137-114 to the South Bay Lakers on Saturday at the UCLA Health Training Center in El Segundo, California. The loss drops the Vipers to 25-20 on the year, four games behind the Austin Spurs for the Southwest Division lead with five games to play in the season. RGV is in the middle of a heated wild-card race, battling with the Reno Bighorns (25-18), Texas Legends (25-20) and Oklahoma City Blue (25-21) for three available playoff berths. The Lakers shot 48.7 percent (19 of 39) from beyond the arc on Saturday. Alex Caruso led the way with 27 points and 10 assists, while Thomas Bryant had 20 points, nine assists and nine rebounds, Robert Heyer had 22 points on 6-of-7 3-point shooting, and Andre Ingram scored 20 points on 5-of-7 3-point shooting. Houston Rockets two-way player R.J. Hunter led the Vipers with 29 points on 10-of-18 shooting and 5 of 11 from beyond the arc. Denver Nuggets two-way player Monte Morris scored 15 points with eight assists, seven rebounds and no turnovers. Chris Walker and Houston Rockets assignment player Chinanu Onuaku each posted double-doubles with 10 points and 10 rebounds. South Bay used a 10-0 run early in the first quarter to build a lead and held a 43-29 advantage at the end of the opening period. RGV closed the second quarter on a 9-0 run to pull within 66-62 at halftime. The Lakers stretched the advantage back to 12 by opening the second half with a 10-2 spurt. By the end of the quarter, South Bay’s lead was 108-91. An 11-0 run — including three 3-pointers in 50 seconds — helped South Bay extend its advantage to 23 early in the fourth quarter. The Lakers also mounted a 13-0 burst down the stretch to lead by as many as 31 points. RGV returns to action with a home game Thursday against the Santa Cruz Warriors.